The 2017 Nevada Prayer Breakfast, held at the Atlantis Resort “Paradise Room” Tuesday, May 2, 2017, from 7:00-9:00 am, was attended by an estimated 300 people with representatives from over 20 local religious and social organizations. 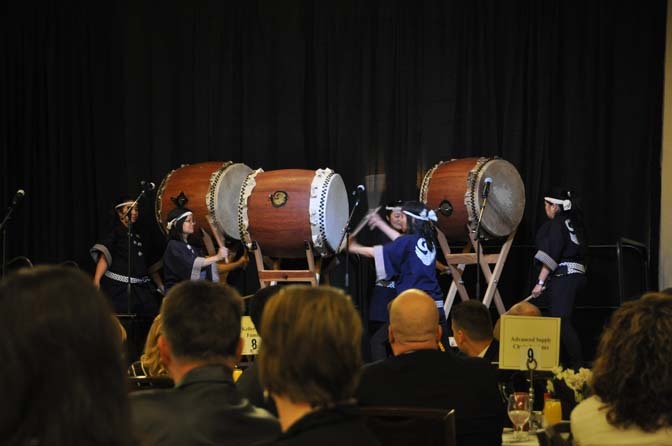 The theme of the program was “Out of Many, One.” The event is one of several annual events sponsored and promoted by the Nevada Clergy Association (NCA). The NCA has been in existence for over two decades, and it has taken a lot of time and effort to bring the organization to the state it is now in. But it has been a blessing and something that is dear to the hearts of many in the area. The Nevada Prayer Breakfast is a gathering of citizens — as well as civic, business, and community leaders — who wish to pray on behalf of our State and bring the spiritual resources of the community together to bear on issues that face Nevadans. Although members of the community may believe differently in their approach to the Divine, they gather at the Nevada Prayer Breakfast as equals. Together, they devote their energies to the good of the State of Nevada. And together, they pray. The Nevada Clergy Association is a non-profit interfaith network of religious and spiritual leaders in Nevada. Programs include the Martin Luther King, Jr. Memorial Service, the interfaith Nevada Prayer Breakfast, the Annual Interfaith Thanksgiving Eve Service, and the biannual Interfaith Clergy Luncheon. For information call (775) 786-1800 or visit www.NevadaClergy.net. Download or view a PDF of the 2017 Nevada Prayer Breakfast Program here.